It’s summer vacation for kids and keeping them learning during the summer months can be a challenge, but we’ve discovered a couple of suggestions to help keep them sharp with cooking. 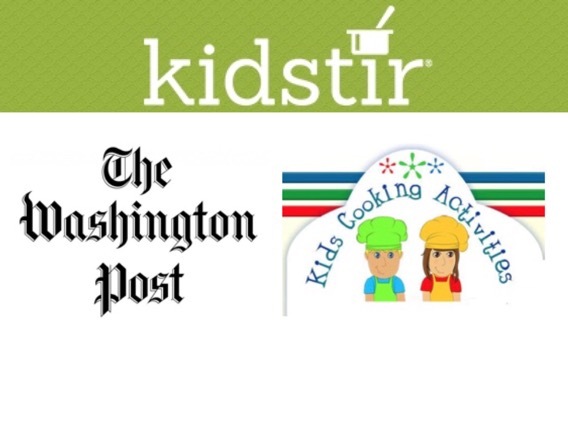 First, there’s a wonderful Washington Post article titled, ‘How cooking can keep kids sharp over the summer‘. While summer is a wonderful time to relax, it can also mark that inevitable backslide of learning for kids. Cooking is an excellent way to not only stop the brain drain, but to accelerate kids’ learning. Spending time in the kitchen is an authentic way for kids to make connections to math, science and even history. teacher Ann McCallum, author of the award-winning ‘Eat Your Homework’ series. Math: Cooking requires some good basic math skills, from measuring ingredients and temperatures to reading fractions and practicing multiplication to increase a recipe. Art & Creativity: One of the best parts of cooking is getting creative with the presentation. Encourage your kids to make their food look colorful, fun, and appetizing. Geography: When kids try a recipe from another country, ask them to find the country on the map and read up on what grows there. We also discovered Kids Cooking Activities, which makes the case for summer cooking to keep kids on a learning track while out of school. Cooking will help reinforce subjects like science, language, math and creativity while cooking! Cooking is a great way to learn life skills. This can be especially helpful when kids are on their own and won’t have to rely on fast food and junk food to sustain themselves. Our Summer Sips Kit will keep the kids hydrated and away from soda. Take a look at the smoothies, shakes and summer coolers kids can learn to make themselves. Measuring, pouring and mixing skills are combined to keep kids learning this summer. Happy cooking!